The RADIUS Initiative Applied, Part 2: What Is the Gospel? Sometimes, in the good effort to lead someone to Christ, instead of sharing the clear gospel, we end up sharing all 66 books of the Bible. OK. That may be a bit of an exaggeration. But you get the point. 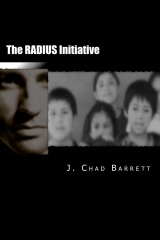 My novella, The RADIUS Initiative, was written for believers in churches to move outside those 4 walls of the church facility and into the world with the gospel of Jesus Christ. In that endeavor, we must know what that gospel is! Let me be clear: when it comes to saving someone’s life, clarity of the plan is absolutely vital. When it comes to the salvation of people for everlasting life, clarity of the gospel is absolutely vital. If there is anything we must be clear on, it is the gospel of Jesus that saves. But what exactly is the gospel? And what must one do with it to be saved? Many presentations have been given over the years that relate to the gospel. Many tracts have been written and handed out. I once read a stack of tracts and each one depicted a different way to obtain everlasting life. If I’m going to risk it all in the storm to reach someone in need of saving, I want to be well trained in the clear gospel that saves! Suppose you had the opportunity to share the gospel with someone. Do you know what to say? How would you start? How would you finish the conversation? Many times when a believer seeks to lead someone to Christ, they get tongue-tied and forget what to say. But the worst thing that could happen is to give a presentation of the gospel that is confusing to the listener. Imagine with me a young man in his early 20s who has been befriended by a Christian. This young man, Jack, has many issues in his life that negatively affect those around him. The Christian, Scott, has spent a lot of time with Jack. He has listened to Jack complain about the issues which include addictions to drugs and alcohol, marriage problems and problems with his kids, and the fact that he can’t hold down a job because of his temper. When Jack was arrested for DUI, Scott visited him in jail. When Jack got into another fight with his wife at one o’clock in the morning, Scott drove to his house and provided calm reconciliation. Soon, Scott brought Jack to a point where he realized he needed help for his addictions. He helped Jack admit himself to a place that offered that help, and Jack kicked the marriage-destroying, life-threatening habits. Then Scott worked with Jack to control his temper, and Jack soon found a job that provided a solid living. At times Scott was emotionally exhausted and physically drained for spending time with Jack, but it seemed to be working. One day, the two were having lunch at Jack’s favorite Chinese restaurant. Scott led their conversation to a spiritual topic. He wanted to lead Jack to Christ. But Scott presented the gospel in a way that confused Jack. Scott used terminology and phrases that sounded clear to Scott, but they skipped over the top of Jack’s head. After several minutes of trying to explain the gospel, Scott finally led Jack in a prayer. But when they finished praying, Jack was just as confused about how to get to heaven as he was before their conversation. After all the time, effort, and energy Scott spent with Jack, Jack would still spend eternity away from God in hell because he was confused on the gospel that saves. Now imagine sharing that confusing gospel with a child. If an adult can be confused by an unclear presentation of the gospel, certainly a child can. “You are saved by this gospel,” Paul says. “Hold firmly to it. Don’t believe another gospel. Stick with this one.” The emphasis Paul makes in this chapter is the resurrection of Christ. If one does not believe in the resurrection of Christ, he is not saved. His belief in Christ’s death alone is in vain. So Paul states the whole gospel in the next few verses. This is the gospel of Jesus Christ that saves man from sin. Verses 3-5 give us the whole gospel as a statement of fact, and it can be summed up in ten words: Christ died for our sins and rose from the dead. (You just counted those words to test me, didn’t you?) That is the gospel. It is a clear, simple statement. A payment was made, and it was made in full. I love how Paul reminds that it was according to the Scriptures that Christ died. Isaiah 53:6-10 describes Christ’s death 700 years before it happened! Jesus died exactly how it was foretold in the Old Testament. And I love how he states that it was according to the Scriptures that he was raised. Psalm 16:10 is a prophecy of the resurrection of the Messiah. And the fact that Jesus was buried and seen, as stated in Paul’s proclamation, is a proof that He died and was raised. Tomorrow’s post deals with what it takes for one to be saved. What must a person do with this gospel to be saved? Stay tuned! Questions? Comments? Your feedback is valued! Wanna learn how to share your faith effectively? Contact EvanTell, Inc. today at 800.947.7359.